What Does it Mean to Lock In a Mortgage Interest Rate? Should You Lock In a Mortgage Interest Rate or Let it Float? When you first start looking into obtaining a home mortgage, you will likely be quoted a simple mortgage interest rate that is generally available at the moment. It is important to realize that this does not guarantee that your mortgage will be at that rate. Until you have progressed further in the loan process and have decided to ‘lock in’ that rate, things can still change. A mortgage interest rate lock is essentially a guarantee that your lender will provide you with your home loan at the stated interest rate if your mortgage closes by a certain date. Essentially, it protects you – the borrower – from potential interest rate fluctuations as you work through the process of closing on your new home. What Are The Requirements to Lock In a Mortgage Rate? The requirements to lock in the mortgage interest rate vary by lender. Many lenders will require that you have a purchase or sales agreement in place and complete the 1003 – uniform residential loan application. Rate locks are usually good for 30, 45 or 60 days. Many lenders will lock in the rate for free once you have a sales agreement in place and the loan application filed. However, there are others who charge a fee for locking-in the rate, depending on the length of time it will take to process your loan. For example, a 90 day lock may have both a higher interest rate and a fee for locking the loan. 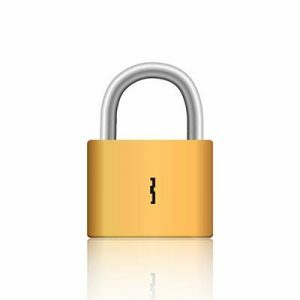 If mortgage rates go up after you are locked-in, you will not be negatively impacted as you are guaranteed the lower rate for the length of the lock. However, if rates drop lower instead, then you will still need to pay the higher rate that you are locked in at. What Does it Mean to Float an Interest Rate? You don’t have to lock in a mortgage rate. If there’s evidence that interest rates may trend lower, you can let the mortgage rate on your loan float, and simply accept whatever the interest rate is once you are closer to the actual closing on your new home. In addition, you can have a “float down” provision added to a rate lock agreement. This means that if rates drop during the lock period, you can take advantage of the lower rate. Note that there is generally a fee associated with adding this provision, which can be costly, depending on the mortgage amount you are applying for. For Help Understanding Your Mortgage Interest Rate Options, Turn to Maple Tree Funding! Whether you’d like to lock in a mortgage interest rate or you plan to let the interest rate float, it is best to research rates thoroughly prior to applying for a mortgage, and discuss interest rate indicators with a mortgage broker at Maple Tree Funding. Your broker can help you understand how big of a risk falling interest rates might be during the time your mortgage is being processed. We can also offer you accurate current interest rate quotes so you can make an informed decision when it comes to locking your rate or letting it float. You can rely on Maple Tree Funding to help you navigate the sometimes confusing path to obtaining a home loan. With office locations in Latham and Glens Falls, and the ability to originate loans throughout all of New York, we have the expertise and experience to help you find the mortgage and interest rate that suits you best. Contact us today at (518) 782-1202 or fill out our online contact form today to get the conversation started! We’re happy to help. Editors Note: This post was originally published in 2014 but has been updated as of June 2017.